I hear this is supposed to be funny. It's being released next week. I'm intrigued. 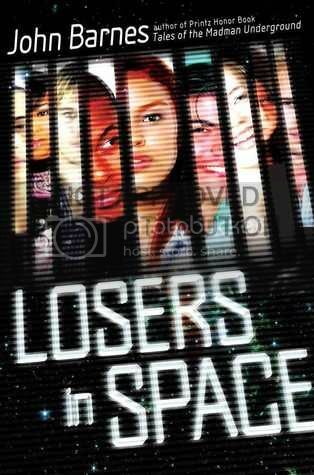 In 2129, hoping to bypass the exams and training that might lead to a comfortable life, Susan, her almost-boyfriend Derlock, and seven fellow students stow away on a ship to Mars, unaware that Derlock is a sociopath with bigger plans. OMG. GIVE ME. THIS. BOOK! But wait, funny? Sociopath.. funny? XD Well, comidical sociopathy seems to become a new trend these days. I don't know why, but I've got a yen for sci-fi on generation ships lately. It really does sound like an interesting movie. I'm also intrigued lol. Thanks for stopping by my WOW. Is that a Freudian slip? It seems like any book that is good is being turned into a movie these days. lol. This one sounds different, not sure that the synopsis tells me enough...so I want to know more!! I know! There's something about a synopsis that leaves you guessing that just makes you want to read it more. This made me laugh. And now I want to know if it's any good... Great pick! This sounds good! I hadn't heard of it. Sounds like it could actually make a good film or TV adaptation! With a title this hilarious, how could it NOT be hilarious? x) LOL I've never heard of this book before, but it sounds like you'll be smiling a lot while you read this book for sure! :) I sure wish I could be going to Mars even though I'm deathly terrified of space travel LOL! YA in space is pretty much my most favourite underrated and underrepresented genre ever, and I'm super excited for this one. It sounds absolutely hilarious! I haven't heard of it before, so thank you for sharing.